Creating a stylish new look throughout your home is simple and affordable when you begin your next residential renovation at our flooring showroom. 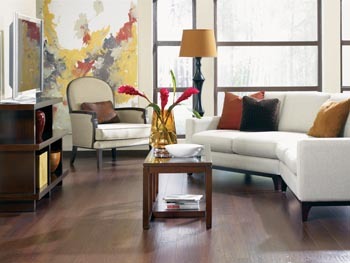 We offer a complete selection of laminate flooring in Irvine, CA. When you visit our location, you'll be greeted by a member of our flooring staff, who will show you our full range of options. Our floors are specially designed to make any residential space stand out, and feature a unique texture that gives your living area a refreshed look and feel. Are you tired of having the same old style of flooring in your home? When you’re ready to give your residential space a fresh look, turn to our showroom for a full selection of flooring products for rooms and areas of all sizes. Our laminate collections are versatile, stylish, and affordable. We understand that many of our customers require a material that is both budget-friendly and easy to maintain over time. Transform the current look of your space to meet your new design goals when you visit our showroom to explore our laminate collection. Here at our flooring store, we deliver options that enable you to enjoy the classic look of your favorite natural materials at a competitive price. With our guidance you never have to sacrifice quality just to save a few dollars on your flooring project. Regardless of whether you prefer the look of stone or hardwood, our team is happy to offer everything you need to upgrade your home’s décor. Simply reach out to us when you have any questions about our products and we’ll be glad to answer them in a timely manner. Ensuring that your renovation is handled with the highest standard of craftsmanship is one of our main priorities when you choose our showroom for your flooring makeover. Once you have chosen the perfect pattern for your home, we are here to perform a full laminate floor installation at your earliest convenience. We have the knowledge and expertise you need for a flawless result with every job we perform. When you turn to us, you can trust that our team will provide you with excellent service at every step of the installation process. While there are countless DIY options on the market, an installation is a project that is best left to a professional. Every detail counts and even the smallest error can cause major problems, which ultimately costs you money in avoidable repairs. Make the right choice for your new flooring by visiting our showroom to browse our collection of laminate, which includes styles from some of the top brands in the industry, like Star Values and Floorcraft. With all of the options that we offer for laminate floor products, selecting the right design to make your home stand out can be overwhelming. Fortunately, our team of flooring professionals is here to help you make your selection easier. Our staff of trained associates is happy to assist you throughout the entire sales and installation process, no matter simple or complex your specific needs may be. From classic to contemporary and everything in between, we offer flooring styles that are designed to fit any preference. With a full range of patterns available for every room of your home, you can count on our flooring store for every aspect of your makeover. Visit our showroom today to find the perfect flooring for your renovation and get started with the first steps toward the installation process. Contact the staff of our showroom to learn more about our options in laminate flooring. We carry a wide range of products for purchase in Irvine, Tustin, Mission Viejo, Laguna Niguel, and Laguna Hills, California.